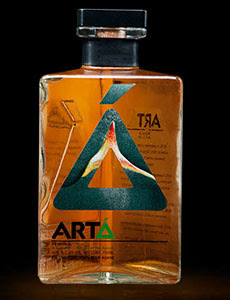 Friend, drinking buddy, and writer Brian Howard writes an interesting piece about an Organic Tequila. I have had Organic Vodka, and it was pretty good... and yes, I am one of the guilty that had a bad experience or two and literally cringes at the smell of Tequila. I do know that nothing (well almost nothing) can turn a party around like the good ol Mexican spirit, so it deserves a spot on anyone's bar. Kudos to those that are trying to make an effort to do what they responsibly. So if you see this at a bar, and it is reasonably priced, do your part and give it a try. Unfortunately I doubt I will ever see this in Costa Rica.